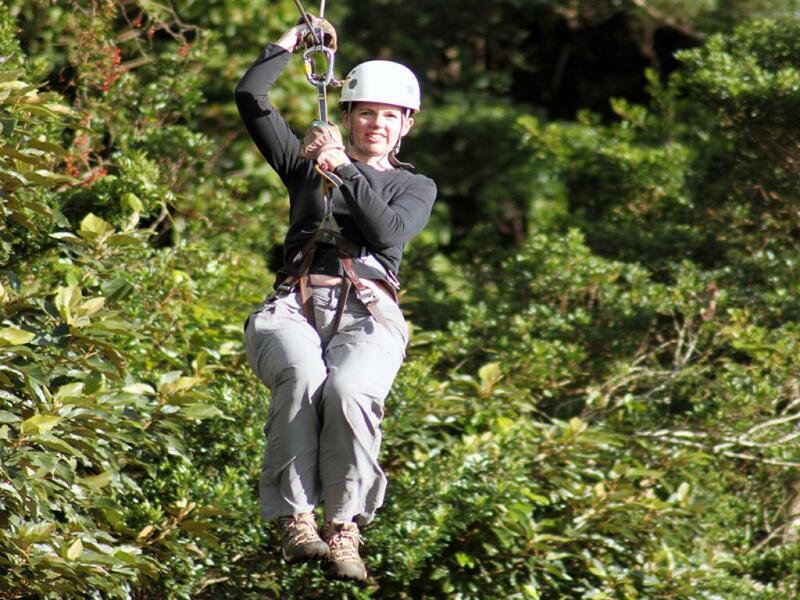 The Original Canopy Tour Monteverde, as the name suggests, is the first company to introduce this very popular activity in Costa Rica. 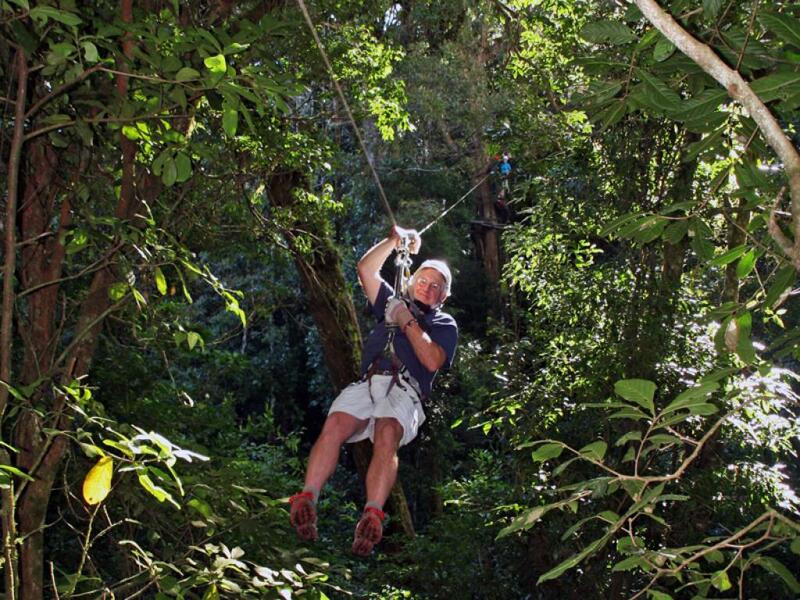 This is often the canopy people with children or those a bit nervouse as not as high or as long as the others in the area but still a thrilling ride! 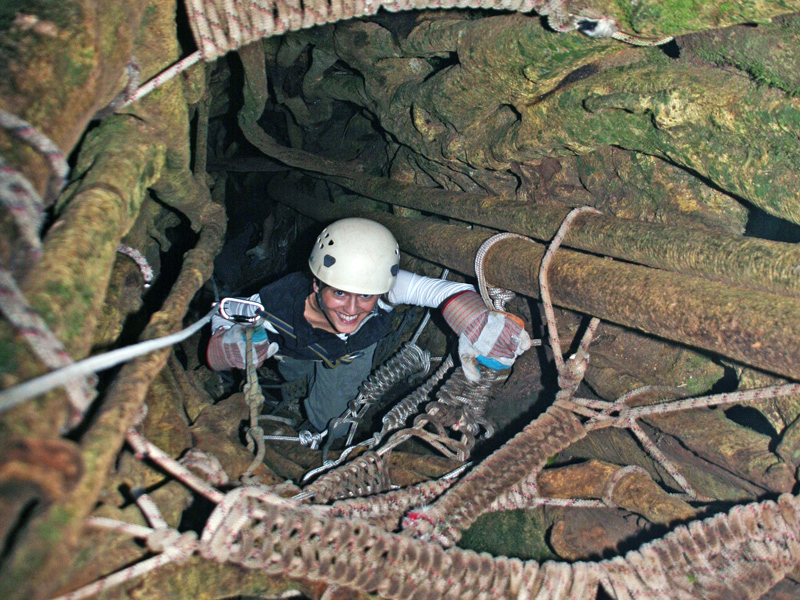 The tour has its own unique attractions like to get to the first platform you have to climb up the center of a strangler fig tree. 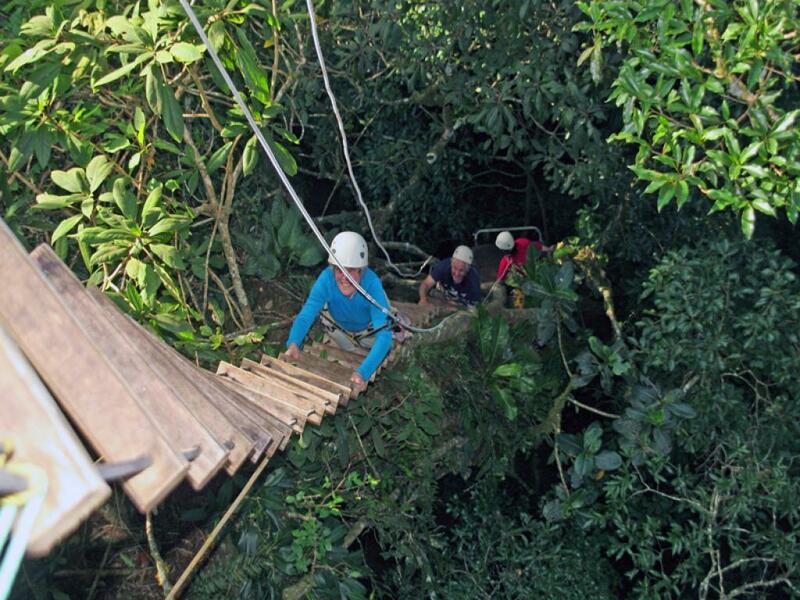 Plus this is the only canopy that is more tree-to-tree, rather than platform to platform with long hikes in between each platform. 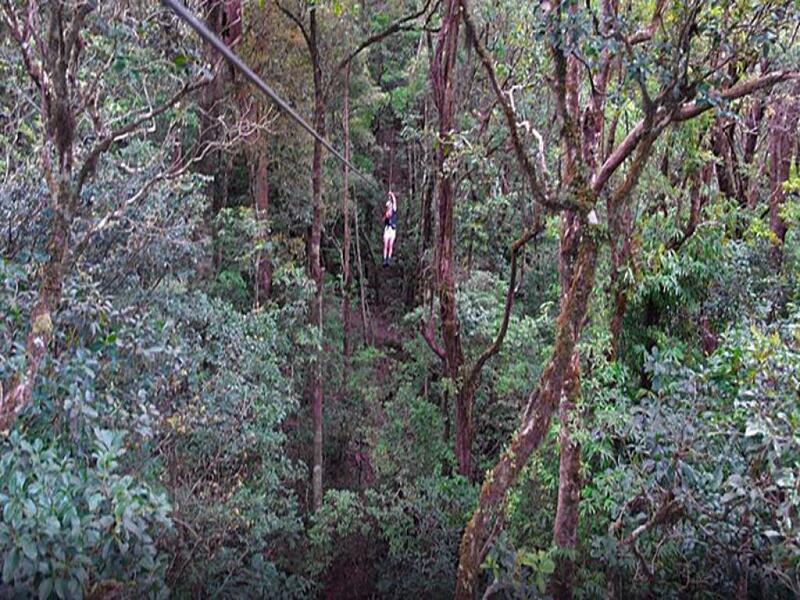 This exiting activity will still get your adrenaline pumping as you fly high above the forest floor in the Cloud Forests of Monteverde. 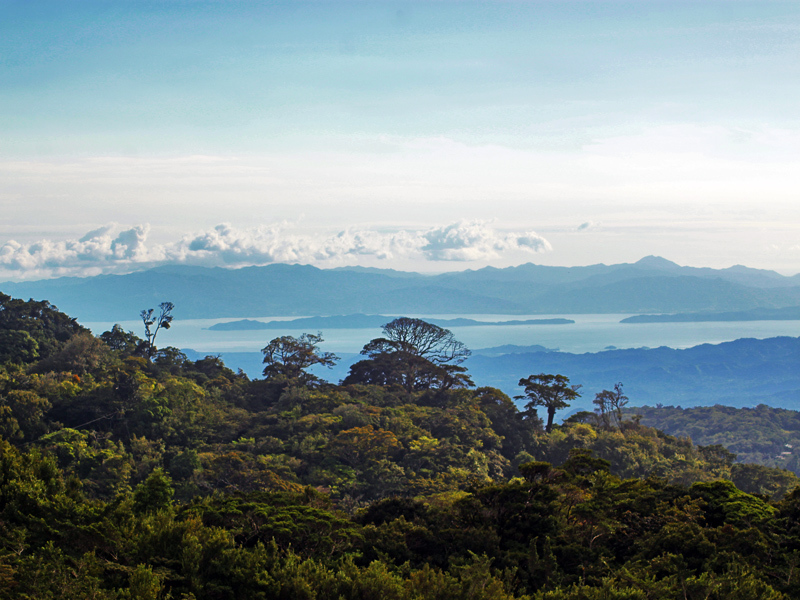 The views are amazing of the Gulf of Nicoya. 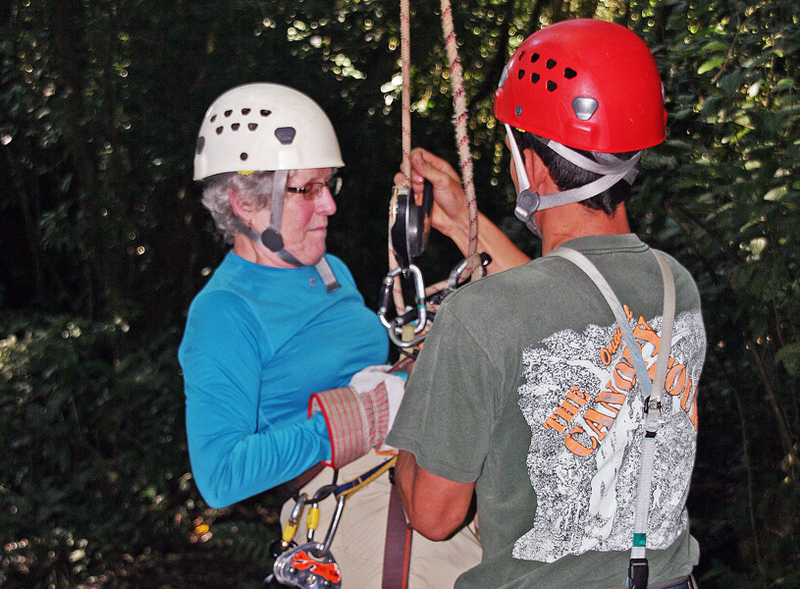 The Original Canopy has the highest of safety standards which means you can be worry-free as you are helped into your harnesses, given instructions and soar from tree to tree by sliding along ziplines. 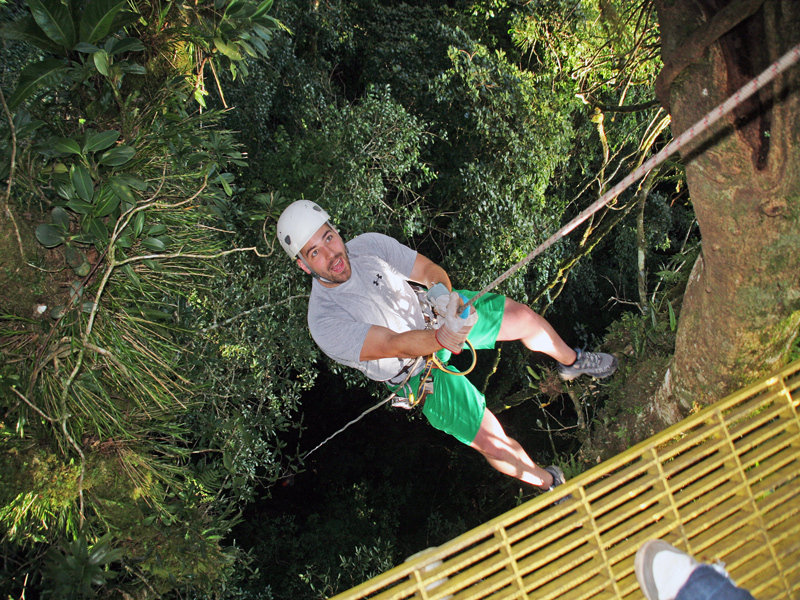 Of course, experienced, bilingual guides are there to help you the whole time and make the activity a complete blast! 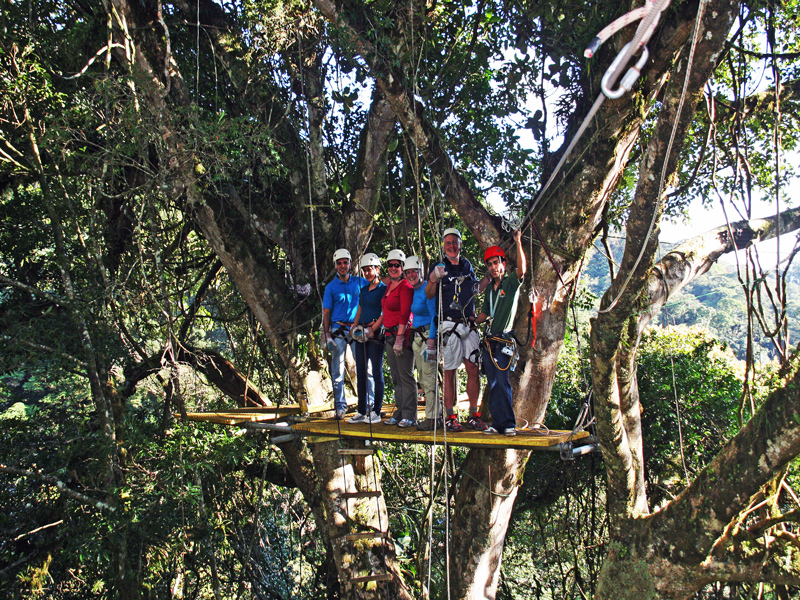 The tour consists of a series of platforms located among the tall trees of the cloud forest. 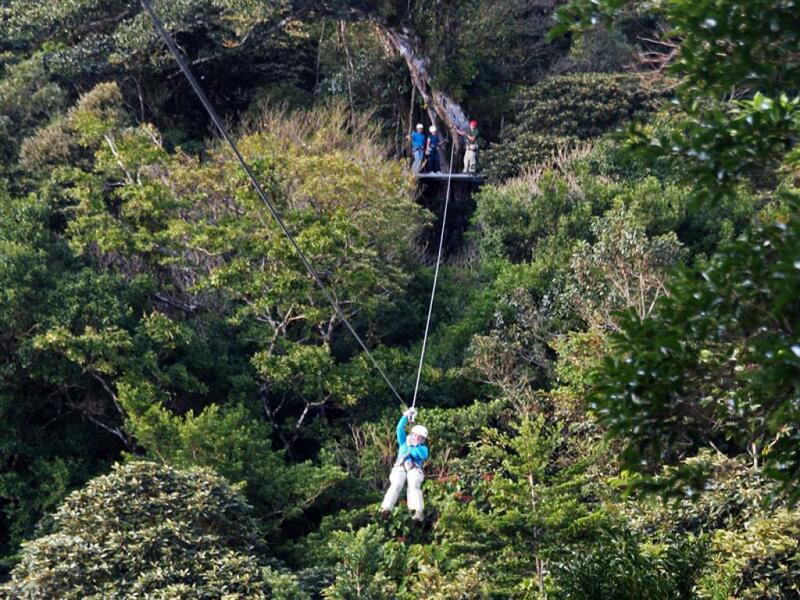 There are 12 platforms, 14 horizontal traverses (ziplines), 1 vertical descent (repel) and 1 “Tarzan Swing”. comfortable clothing you don’t mind getting a little dirty. Your shorts 'ride' up when you put your harness on so many clients prefer to use long pants. Closed-toe shoes are recommended. 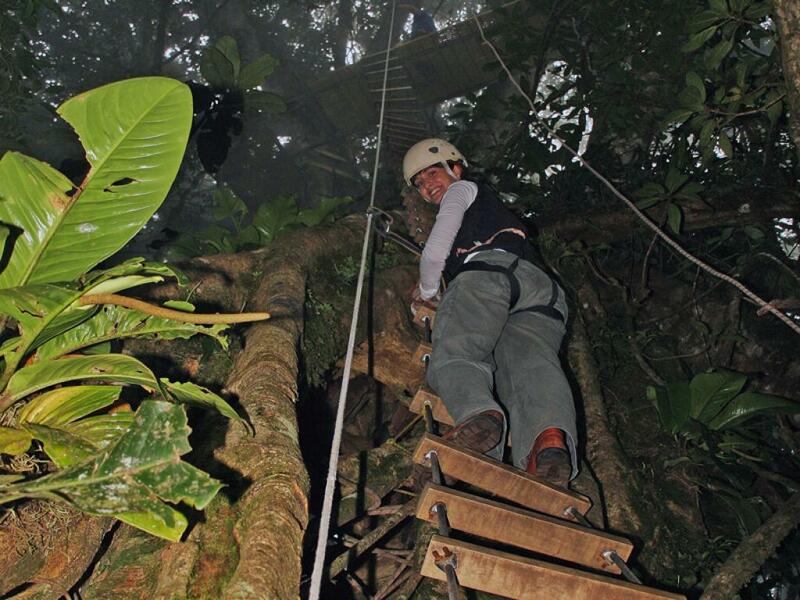 It is always advisable to bring rain gear as you never know if it will rain in the cloud forest. Bring a camera in a waterproof camera bag, small backpack or fanny pack (remember anything you bring must be carried by you throughout the entire tour in a way that leaves both hands free). Bring insect repellant or sun screen if you like (this must be applied just once, before your equipment is put on).